Jesus instructs his disciples about prayer, demonstrating the manner in which his followers should act, then goes on to describe those who failed to follow Jesus in showing justice and love to others. 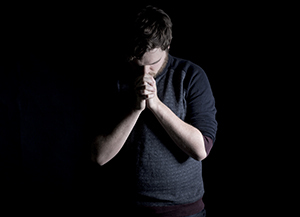 Jesus is asked by his disciples to teach them to pray, “just as John taught his disciples.” We do not have any record as to the specific prayer or prayers John taught his disciples, so trying to determine how Jesus’ prayer differed is purely speculative. We do know that the Jews had regular times of prayer during the day. We also know that there are some Jewish prayers that have some similarities to the prayer Jesus prays here. We also know that Jesus’ prayer, which we call the Lord’s Prayer, focuses on our dependence on the Father, who is sovereign. He is the one who is holy, the one who provides daily sustenance, and forgives and protects us. If we include the “commentary” Jesus makes about prayer in verses 5-13, we also discover that God is one who gives, just like a good father gives. Although Jesus points out that it is because of the man asking for bread’s “shameless audacity” (NIV) that the man in the house gives him bread, the rest of Jesus’ comments point towards the goodness of God as the motivation for his giving good gifts. There is an emblematic relationship here: if earthly fathers can give good gifts, surely our heavenly Father can give gifts that are that much more valuable. By the way, the culture in which Jesus and his followers lived was keenly aware of the importance of hospitality. A traveler would have been dependent upon someone to open their home for him to stay—there were no hotels. Three loaves of bread were the typical amount used during a meal and the bread would have been baked regularly, if not daily. The houses that were probably in the mind of Jesus in this passage were small one-room houses built very close to one another. Therefore, the man in the house would have to get up and make his way over his family who would have been asleep on mats on the floor, in order to get the man asking for bread his food. Everyone in the neighborhood would have probably heard this commotion and known the response—or lack there of—of the man being asked for food. There is sort of a two-fold amazement of people’s response to Jesus casting out demons. First, if good was being done, why stop the good that was happening? It certainly points to the jealousy people at times feel for the success of others. It also may point to the people’s desire for Jesus to do the things he did—including healing—in the “right” sort of way. It is also interesting that someone would accuse Jesus of casting our demons in the name of the prince of demons. It makes no sense for someone on the side of the demons to defeat … the demons. Notice also Jesus attributes the presence of the kingdom of God as the reason for these demons being cast out. As we read through the accounts of Jesus’ life, it seems surprising to us that the people were not more receptive to the power of Jesus. That is certainly the case in verses 29-32, where Jesus tells the people that Nineveh and the Queen of Sheba understand what is at hand. Why do the people not get it? Jesus tells his followers that light is meant to illuminate, not to be hidden. Light that cannot be seen is of no use to anyone. If we allow ourselves to be filled with light, then we will also be able to demonstrate and share that light, as well. Jesus concludes this chapter with a list of woes against the Pharisees and teachers of the law. The precipitating event here is Jesus not washing himself prior to a meal at the Pharisees house. Jesus explains that the concern of the Pharisees for their ceremonial washings outweighed their concern to show justice and love to others. In other words, one could wash and be as clean as clean could be, yet still not demonstrate the love they should have to others. Needless to say, Jesus’ response to these Pharisees and teachers did not engender himself to them and they began to try to find a way to catch him doing something wrong. Compare the Lord’s Prayer in Luke 11 with other Jewish prayers you can find. What is the same? What is different? Why do you think there is a difference? Research the idea of hospitality in Jesus’ day. How does a better understanding of hospitality help you understand Jesus words about prayer and asking for bread? Jesus is criticized for not washing before his meal with the Pharisee. According to Jewish laws and customs, what should Jesus have done prior to this meal? Make a list of ways you have been blessed by earthly parents in your life. Now, make a list of the ways you have been blessed by your heavenly Father. How do these lists compare? How do they spur you on to give good gifts in your own life? Spend some time every day (perhaps morning, noon, and night) praying the prayer Jesus gives his disciples in Luke 11. Do not pray anything other than what he says. After a week of this, journal the impact this exercise had on your prayer life and your understanding of what it means to follow Jesus. Consider what gifts you might give someone because of your love for them through Christ. Go and actually give them this gift.